This submission focuses on the situation for human rights defenders (HRDs) in Ecuador and covers developments from May 2012 to September 2016. In the period under consideration, Front Line Defenders undertook three visits to Ecuador, met with Ecuadorian HRDs in Belgium, Ireland and the United States, received information through regular communication with HRDs in the country and provided direct support in 28 cases. High-level smear campaigns and stigmatisation against HRDs, often with the participation of the highest representative of the State, President Rafael Correa himself. Judicial harassment, with particular focus on indigenous leaders and their supporters and defenders of freedom of expression. Of additional concern is the reported association between the government of Ecuador and the company Hacking Team. Leaked information published on 6 July 2015 disclosed that the Ministry of Intelligence (Senain) had acquired in 2013 the software Remote Control System (RCS), which provides interception of computers, tablets or mobile phones. The leak also indicated that other disbursements for the same purposes were scheduled for 2014 and following years. The number and type of reported cyber attacks, broadly documented by local and international organizations, show that the government has used surveillance tools to target HRDs and independent journalists, particularly those working to expose corruption and abuses of power by authorities. On 9 May 2016, when the research and news website Focus Ecuador was due to issue a report on corruption in the oil sector, the publication of which had been announced previously, the site was hacked. The aforementioned article was published on two other digital media platforms (PlanV Magazine and Mil Hojas) and within hours these sites suffered similar attacks. LaRepública.ec, a broadcasting outlet for breaking news, has suffered more than a dozen distributed denial of service (DDoS) attacks in the last two years. Front Line Defenders has received information that whenever the portal is about to broadcast information on marches, demonstrations, press conferences or other previously announced events, the attacks automatically begin. It’s relevant to mention that Front Line Defenders has regularly received information about defenders working both on LGBTI rights and indigenous rights who are not only targeted by State authorities, but are also increasingly subjected to additional harassment and attacks by non-State actors, such as religious groups and private companies. During the 2nd cycle, Ecuador accepted the recommendation by Luxembourg to “guarantee to everyone, including journalists and human rights defenders, enjoyment of freedom of expression”. However, Front Line Defenders has received several reports related to attacks on freedom of expression and access to information. A new Communications Law from 2013 has led to a further deterioration in the environment for independent media, including increased self-censorship. Some journalists who criticised the Government were harassed and received anonymous threats after they were named by government officials in the media. In addition, the judicial system is used to silence criticism. The President has personally sued several HRDs for expressing opinions that he considered offensive. 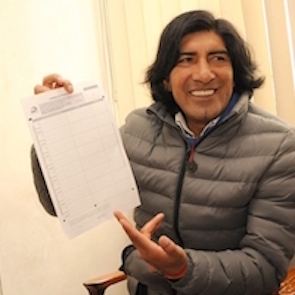 Activist Fernando Villavicencio was convicted of defamation in 2014 after filling a complaint accusing President Correa of ordering a violent armed incursion into the Police Hospital during the police revolt of 30 September 2010. In the previous cycle, Ecuador accepted a recommendation by Austria to “make sure that the Presidential Decree No. 982 is not applied as a way to impede the work of human rights defenders.” One of the articles contained in this decree stated that an organization could be dissolved if it compromised the security or interests of the State. This article was once applied to shut down Acción Ecológica, an environmental organization opposing mining. Front Line Defenders stresses that although that decree has been derogated, the substituting legislation is not an improvement. 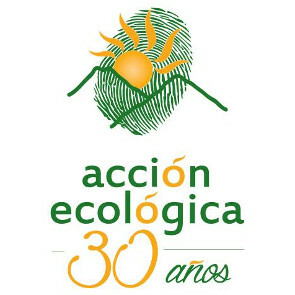 Executive Decree Order No.16 contains restrictive provisions in relation to freedom of association and grants the National Secretariat for Communications (SECOM) powers to order the dissolution of NGOs on ill-defined grounds; the new legislation was used against independent rights groups during the period under examination, notably Fundación Pachamama (see below). Intense social protests took place in 2015, including a general workers and indigenous peoples' strike in August. Ecuador had agreed to “ensure that criminal provisions are not misused to curb the ability of human rights defenders or other protesters to exercise their rights to freedom of expression, assembly and association and that appropriate authorities reconsider the cases of those arrested and prosecuted”, as recommended by Germany. However, HRDs reported an increase in police and judicial harassment, particularly in connection with the above mentioned protests. Many of the legal cases against those who peacefully participated in or organised the protests are still in process. According to documentation provided by the Confederación de Nacionalidades Indígenas de Ecuador – CONAIE (Confederation of Indigenous Nationalities of Ecuador), from August 2015 to May 2016, 18 legal processes were initiated against 122 HRDs. In the period under consideration, Ecuador has failed to cooperate in a regular manner with regional human rights bodies. The State decided not to attend most of the hearings held before the Inter-American Commission on Human Rights (IACHR), including hearings on the overall situation of indigenous rights defenders and their right to freedom of association in Ecuador. On the contrary, Front Line Defenders has received reports of reprisals against HRDs resorting to the IACHR. Ecuador has also been vocal against the precautionary measures mechanism, considering it an intervention and stating that the government is not obliged to apply such measures. Ecuador accepted in 2012 a recommendation from Slovakia to “ensure that all human rights activists operating in the country, including individuals cooperating with United Nations human rights mechanisms, are spared from any criminalisation, harassment or intimidation and can perform freely their legitimate duties.” However, on 21 July 2016, the Ministry of Education set in motion the process to dissolve the Unión Nacional de Educadores – UNE (National Union of Educators), the largest and oldest union in the educational sector. Previously, in June 2016, the President of the Union, Rosana Palacios, participated in sessions organised by the International Labor Organization and the UN Human Rights Committee where she relayed information about labour rights violations against workers in the education sector. The UNE has decried the dissolution as a reprisal against the organisation for accessing international human rights mechanisms. The UNE has actively defended the labour rights of education workers since 1950. On a recommendation by Norway, Ecuador accepted to “engage constructively with human rights defenders in seeking solutions to address Ecuador's human rights challenges.” Whereas some improvements have been made, particularly in the promotion of LGBTI rights, HRDs who are not amenable to the government's objectives are publicly smeared and discredited. requiring organisations to keep and present nearly all information related to the NGO's work as public. On 4 December 2013, under Decree 16, Fundación Pachamama (Pachamama Foundation) was dissolved. The sanction took effect shortly after its members participated in a demonstration against the concession of oil exploration permits to foreign investors in the Amazon. The Pachamama Foundation had advocated for indigenous and environmental rights for 15 years. On 8 September 2015, the Communications Secretariat (SECOM) notified Fundamedios, a foundation that promotes and defends freedom of expression, that they would initiate their dissolution. The dissolution was based on an accusation that Fundamedios had engaged in "political activities" for promoting content originating in two journalists' opinion blogs, thus supposedly acting outside its statutory purposes. Due to intense international pressure and advocacy, the procedure was put on hold on condition that the organisation cease ‘political activities’ and cease publishing what the authorities called “unfounded alerts with the sole aim of affecting the prestige of Ecuador”. However, the online presence of Fundamedios has continued to be subject to frequent cyber attacks. The right to peaceful assembly is restricted by Article 153 of the Criminal Code which prescribes up to six months in prison and a fine for engaging in demonstrations without first securing a written permit from the competent authority. This is compounded by the way in which the crime of terrorism has been broadly typified in Article 160.1 of the Criminal Code, providing ample margin for discretionary enforcement. It has been used to judicially harass and stigmatise HRDs who exercise their right to peaceful assembly, notably in cases like the 10 from Luluncoto and the attempted criminalization of land rights defenders Manuela Pacheco and Manuel Cornelio Trujillo earlier this year. On 28 November 2013 Gloria Ushigua, Coordinator of Ashiñwaka -a Sápara indigenous women's organisation- participated in a demonstration outside the Secretariat of Hydrocarbons to protest the bidding of land for oil exploration in the Amazon during the XI Oil Round. In retaliation, she was subjected to a smear campaign with racist overtones through government-owned TV channels and was charged with terrorism, sabotage and public obstruction despite there being no evidence of her displaying any violent behaviour during the protest. To date, the charges against the defender have not been dropped. President Correa and high-level authorities have also used television, State-run media and social media regularly to name HRDs and journalists and refer to them as enemies of the State and liars. Several references have also been made related to their sources of income and the amount of foreign funding which they may receive. On 2 may 2015, during the weekly Saturday television show, Rafael Correa named and showed pictures of Carlos Perez Guartambel, President of ECUARUNARI, Cesar Ricaurte, director of Fundamedios, and Jorge Herrera, President of CONAIE while stating that they were united by their hatred of the Citizen’s Revolution (a presidential political and economical project) and that they all made use of lies as an strategy for their activism. On 14 May 2015, at the same television programme, President Correa named Fundamedios as receiving money from the United States with the purpose of destabilizing the government. Judicial harassment is one of the most common forms of repression against HRDs in Ecuador. It is used to particularly target those working on indigenous, environmental and land rights as well as freedom of expression. From August 2015 to May 2016, at least 122 defenders were criminalised due to their participation in the 2015 protests, in a total of 18 different judicial processes. 100 out of the 122 defenders processed at national level are indigenous people. The most common charges brought against defenders in the 18 processes were assault and resistance to arrest, as well as public obstruction. Charges of sabotage and inciting disorder were also used. At least 38 defenders have been already sentenced. 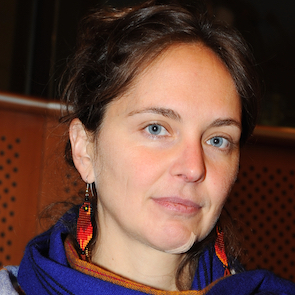 In what has been perceived as a retaliatory measure, French-Brazilian defender and journalist Manuela Picq had her application to reinstate her visa denied on 21 August 2015, after having been violently and arbitrarily arrested on 13 August 2015 during the CONAIE March. On several reported occasions, police or army officers resorted to an excessive use of force to disperse demonstrations. Information made available to Front Line Defenders suggests no investigations are in place to evaluate police actions. On the contrary, the organisation has been made aware of the fact that violent acts have been supported by the government. On 20 October 2015, police and security forces assaulted several environmental and women's rights defenders from the Frente de Mujeres Defensoras de la Pachamama (Women's Front for the Defence of Mother Earth) as they peacefully protested the opening of the Chinese-owned company Junefield and their Río Blanco Mining Project. The defenders were then arbitrarily detained whilst President Correa gave his speech at the inauguration ceremony. Eight women human rights defenders immediately filed complaints to seek redress. On 8 July 2016 the Ombudsman’s decision characterised the attack against and arbitrary detention of the defenders as a necessary, reasonable and proportional use of force and further encouraged public security forces to continue to act in this way in other settings requiring management of public gatherings, thus encouraging the arbitrary and unnecessary use of force by public security forces. (l) Accept and fully implement the UPR recommendations on HRDs in a transparent and participatory manner with full involvement of human rights defenders at all levels.